MOSI is the place to be in March! Hey there! Lisa here with lots of Things To Do In Tampa Bay. MOSI has lots of fun things coming up, and I&apos;m going to tell you about them! Kicking off the month of March is a little bit of one-on-one time with the insects! 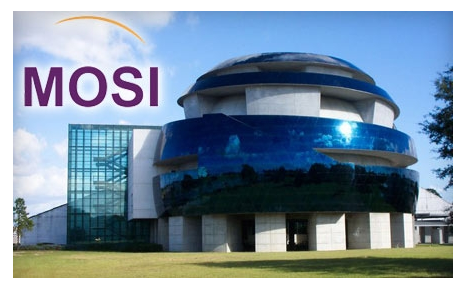 on Friday, March 11th MOSI is hosting a discussion of the role of insects in Florida&apos;s ecology, biological control measure and the effects that global warming may have on insects. It will be held at MOSI&apos;s BAR 1570 (cash bar), and you can call 813-987-6000 to pre-register and be eligible for special door prizes. Then the next day, Donna Stark who discovered the new beetle species in Polk Co. will be giving a lecture in the auditorium. This is FREE with admission. On 3.14 (March 14th/Pi Day) there is an opportunity to get into MOSI for FREE!!! You just have to solve some logic based puzzles (I can still remember trying to memorize digits of Pi for extra credit in math class)! Saturday, March 19th there are three very different events. The first is all about getting in touch with your artistic side. In the morning you can combine art and science by using a variety of drawing and artistic techniques. To register go to campfun.org. Also the night of the 19th there is a SkyWatch Telescope Viewing. Using telescopes you will view planets, stars and galaxies while learning more about telescopes. Lastly on the 19th children can learn how to save money with representatives from Grow Financial. It is the Year of the Solar System, and in order to celebrate on Sunday, March 20th MOSI will be teaching you how to navigate the stars. And again to register head to campfun.org. There is limited seating so don&apos;t forget about this one! And lastly on March 26th MOSI will be holding a health and wellness expo. That is a lot of Tampa Bay Area Events! Sounds like it&apos;s going to be a fun filled month at MOSI! That&apos;s all for now but keep checking for other Tampa Florida News Updates!